"Your journey towards better hearing just took a turn for the best"
Where we treat you like FAMILY and provide CUSTOMER SERVICE LIKE IT USED TO BE. Poor Hearing? Not sure what to do? Hearing loss does not discriminate based on age and can happen to anyone at anytime. ​Here are 3 simple steps towards better hearing. Book a quick FREE 15 minute hearing screening. For those who know they have a hearing loss and want immediate guidance, we recommend our 60 minute thorough hearing assessment. Select from the few available treatment options that will be discussed with you at your initial appointment. These may include hearing aids, earwax removal, assistive technology or other proven communication strategies. Implement all of the chosen treatment options with guidance from your dedicated Pristine Hearing Audiologist. If hearing aids have been chosen, we will work with you to ensure they are setup perfectly for your needs. Pristine Hearing offers a premium offsite audiology service for patients unable to attend an appointment at our Nollamara Clinic due to other commitments, mobility issues or are just time poor. We can arrange to come to your home, nursing home or office and have the ability to complete all testing, diagnosis, earwax removal and hearing-aid related services off-site. For more information please call one of our friendly staff today on (08) 6336 7170 or email. This is another example where Pristine Hearing goes the extra mile to ensure ALL our patients are provided the best service for their needs. Pristine Hearing offers a large range of hearing related services for both children & adults and covers Hearing Loss, Hearing Aids & Tinnitus. Many of the services we offer are eligible for funding through Medicare, Australian Government or Private Health Insurance. As an accredited provider of the Office of Hearing Services Hearing Program, we provide eligible patients with free hearing services & subsidised hearing aids/devices. If you are a pensioner (aged, disability support and other), veteran or a dependant of someone who is, you can benefit from this program. To check your eligibility, go to here. Please make sure we receive an Office of Hearing Services Medical Form from your GP prior to your first appointment. In Australia, Medicare does not cover or help fund the cost of hearing aids. It does however provide funding towards hearing assessments that have been requested by a GP, ENT, neurologist or paediatrician in specific cases. We would need their referral prior to the appointment. If you need more information, please give us a call on (08)6336 7170 or email us. If you have private health insurance, you may have access to funding towards hearing aids, hearing aid repairs as well as hearing tests or audiology consultations. Some health funds provide up to $1000 per device but we recommend you check with them first. To compare health funds, click the link below. Hearing Problems? Seek Help Today! ​We are a family owned & independent audiology clinic committed to ensuring each of our patients are given the best care and attention possible. Our friendly team are always ready to answer your questions even after hours. So why wait? Not sure where to begin? Book an initial assessment appointment to learn about different hearing aid options. Hearing aids now can be controlled and adjusted by your mobile phone. Some even use inbuilt mobile phone sensor information to help the hearing aid determine what you want to focus on. 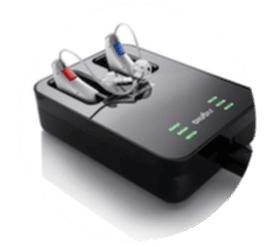 This technology also enables the timely remote adjustment of your hearing aids by your Audiologist reducing the number of appointments required. 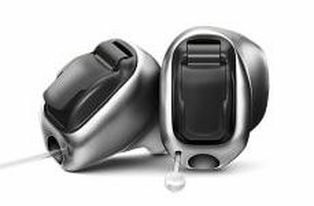 Take advantage of new slim fit receiver-in-the canal hearing aids for a more comfortable fitting. Custom hearing aids are made specifically for your ears and your ears only. These devices sit inside your ear canal and are a great cosmetically appealing option that can be virtually invisible to everyone else. Titanium improves durability and comfort as the shell can be made thinner. 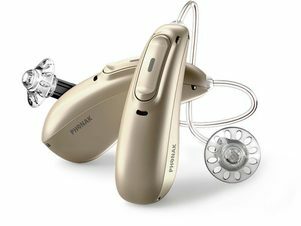 Have old or unused hearing aids? Kindly DONATE or TRADE in your old hearing aids to our HEARING AID BANK so they can be used by patients who cannot afford hearing aids themselves. Conditions apply. Not to worry. Pristine Hearing are one of only a few Audiology Clinics in WA who provide Professional Earwax Removal via Microsuction Technology. This method is the safest & most thorough way to remove excess wax. 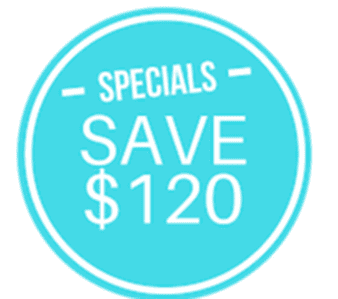 ​At normally $120, this procedure is provided FREE to ALL patients who go on to purchase or have their hearing aids maintained by Pristine Hearing. Ringing Ears? We Can Help. Sounds like you my have tinnitus. Tinnitus can be linked to hearing changes but can be experienced by anyone at any age (even children). There are many causes of tinnitus. Read about these including the support and treatments available. If tinnitus is bothering you, seek expert help today. Learn about why tinnitus effects some people more than others. A thorough specialist tinnitus assessment appointment can be arranged to identify, measure and develop a treatment plan for your tinnitus today. Rebates Apply. Your Child Struggling At School? With a dedicated Paediatric Testing Room & an experienced Paediatric Audiologist, we can quickly & accurately measure your child's hearing. A hearing test can rule out hearing loss so that the cause of any learning difficulties can be identified more quickly. Rebates apply. Find out ways to tell if your child may have a hearing loss. Auditory Processing Disorder affects 2% of children who have normal hearing. Find out what can be done to help your child meet their potential. If you need an appointment outside normal business hours, feel free to ask.